PowerLogic System lets you optimise the cost, quality and reliability of an electrical installation. It combines communicating devices with power monitoring software operating under Windows. PowerLogic System provides information on the entire electrical installation. 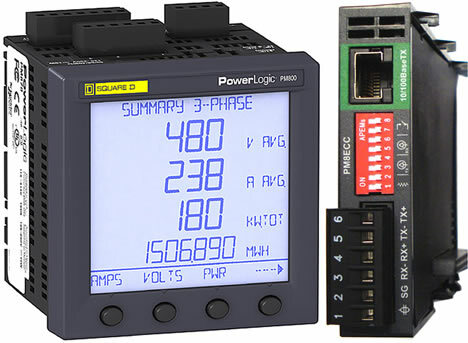 PowerLogic System can be used for all electrical distribution systems. It creates a network of communicating devices connected to one or more supervision stations. and all third-party devices using the Modbus protocol (specific configuration is required).